This model is an enclosed bar-type chime. 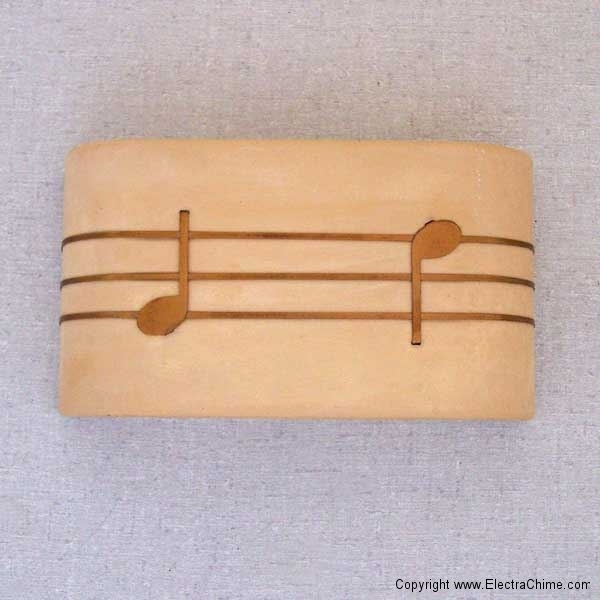 It strikes two separate successive harmonizing notes, producing beautiful, clear chime tones. For use as maid’s calls, office calls and signals, dinner calls, etc. 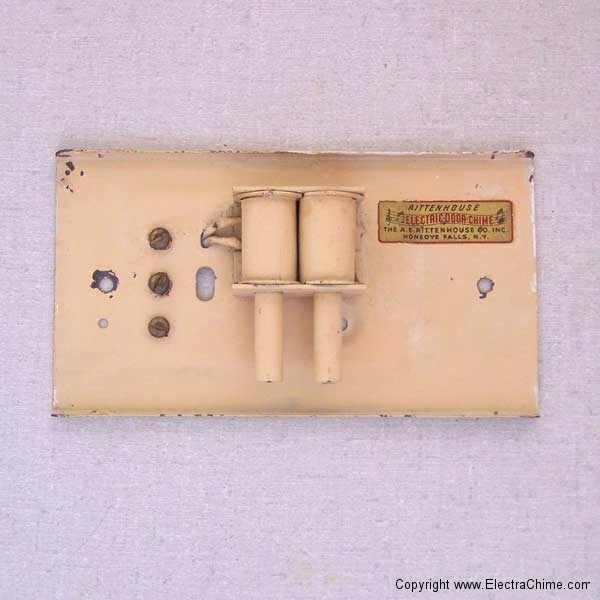 Frequently used for door call service in apartments and small houses. However for general door call service, we recommend the louder (long bell) President model. The Model 100 and Model 200 were somewhat unique as the tone-bars were mounted to the case, instead of the mechanism which would become the norm for compact and resonator door chimes. The Model 200 was available in Ivory and Gold as this example, as well as in Green and Gold. Manufacturer A.E. 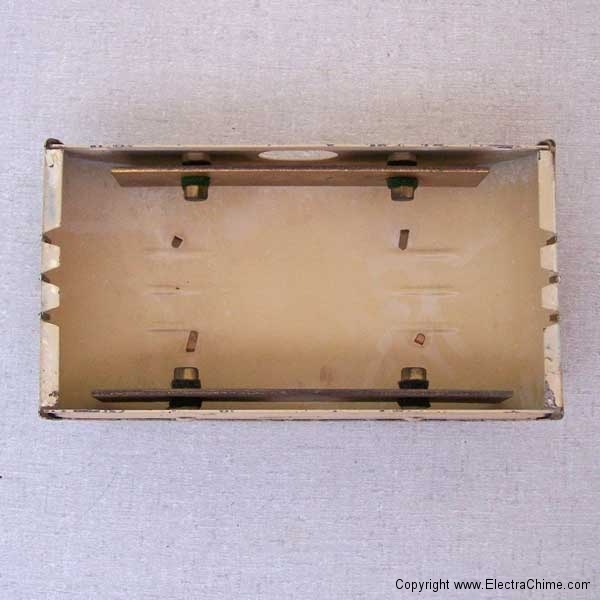 Rittenhouse Co. Inc.
Materials Steel "crinkle paint" housing with brass details. Iron tone bars. Dimensions 7 inches wide, 3 3/4 inches tall, 1 3/4 inches deep.